Looking for something different while the kids are on holidays? Or just wanting to experience snow for yourself? (side note – I’ve never seen snow on real life so this might be as close as I get!) 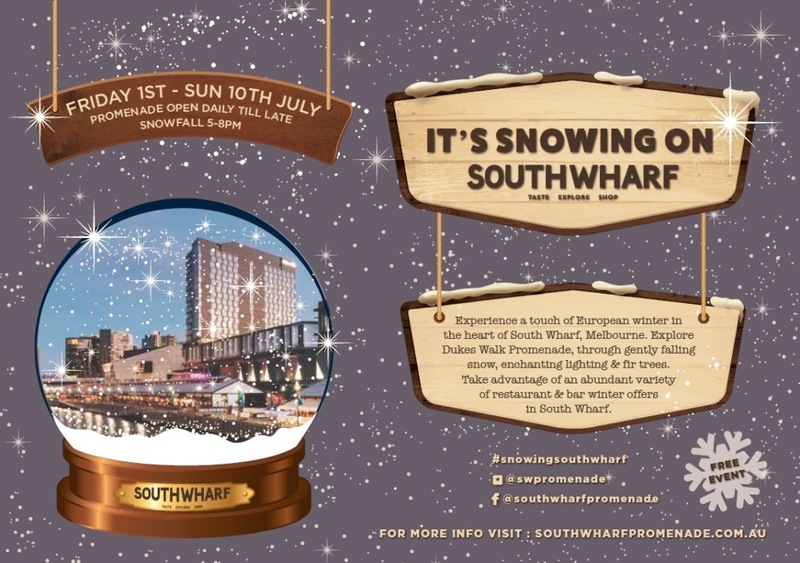 Either way you’ll find it at South Wharf Dukes Walk from the 1st – 10th of July. Come through the intimate alleyway between 5pm – 8pm to experience 12 (yes 12!) snow machines, sending out waves of snowflakes to capture the imagination! 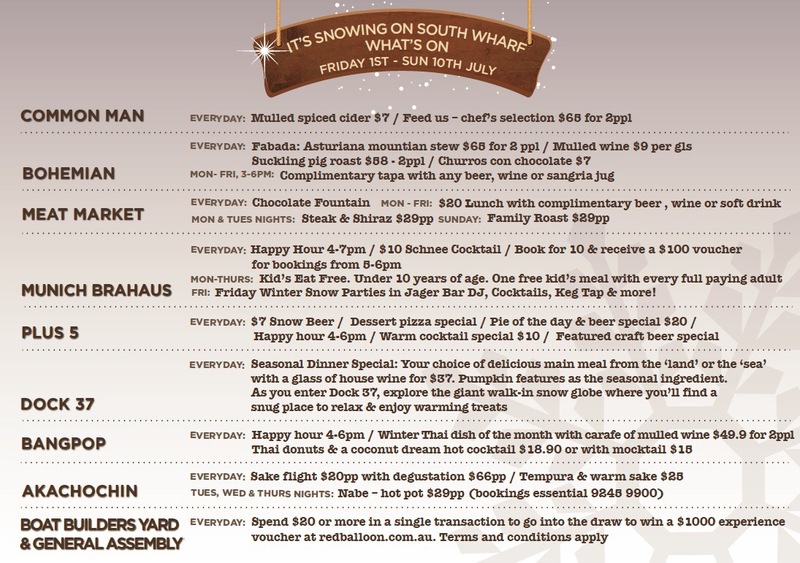 Have some fun shopping at the South Wharf DFO and get a family friendly meal, or for more adult enjoyment hit up the strip after 7pm for Winter drinks and meal specials! This event is thanks to the South Wharf Association, who have brought together the venues in area to promote Melvournes ‘oldest-newest’ suburb – South Wharf! Want more information? You’ll find it here!